Here’s the yarn I made earlier this week after the kids went to bed. I was quite surprised to get colors this vibrant working with Kool-Aid. Very fun! 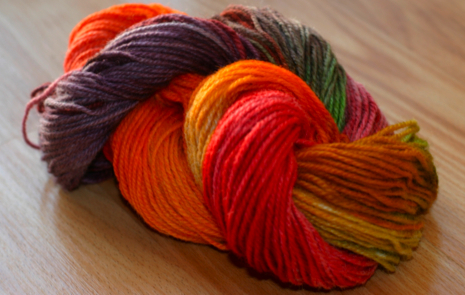 Check back tomorrow for a link to a very basic yarn dyeing tutorial.